Squam Lake is a beautiful blue lake located in central New Hampshire, south of the White Mountains, straddling the borders of Grafton, Carroll, and Belknap Counties. The largest town center on the lake is Holderness. 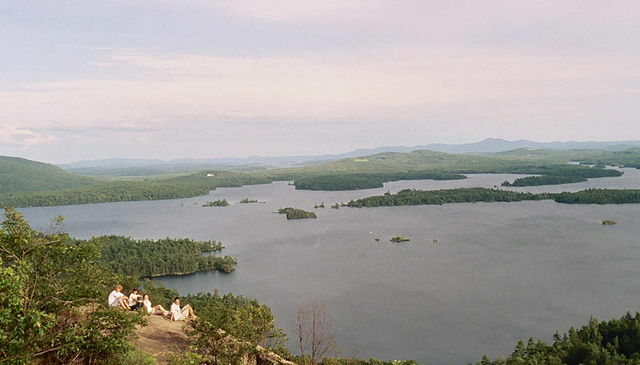 The lake is located northwest of much larger Lake Winnipesaukee. Squam Lake is a favorite retreat for the affluent and hundreds of magnificant summer home ring the lake. It drains via a short natural channel into Little Squam Lake, and then through a dam at the head of the short Squam River into the Pemigewasset at Ashland. Covering 6,791 acres, Squam is the second-largest lake located entirely in New Hampshire. 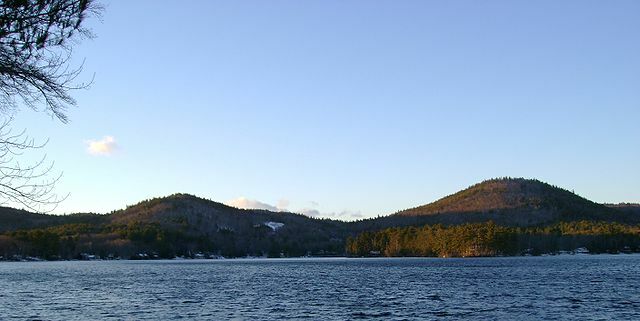 Squam Lake: Squam Lake was originally called Keeseenunknipee, which meant “the goose lake in the highlands”. The white settlers that followed shortened the name to Casumpa, Kusumpy and/or Kesumpe around 1779. In the early 1800s, the lake was given another Abenaki name, Asquam, which means “water”. Finally, in the early 1900s, Asquam was shortened to its present version, Squam. The 1981 film On Golden Pond was filmed on Squam Lake. There are two tour boat outfits on the lake, both based in Holderness, that will show visitors where all the filming locations are situated. Squam Lake is a nesting site for Common Loons and is a good place to see them in breeding plumage during the summer months.